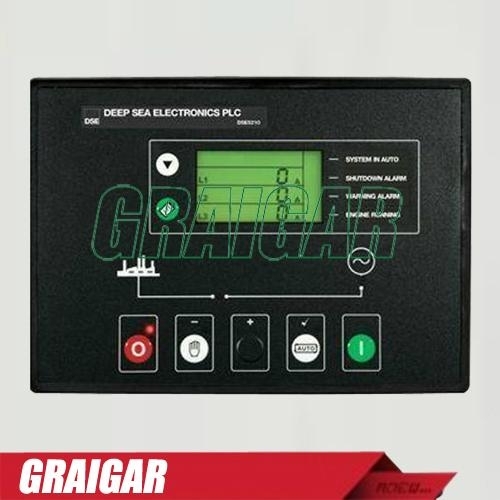 Deep Sea Controller DSE5210, Deep Sea Automatic Start Control, Deep Sea Control, Generator Controller, Generator Automatic Start Control. The DSE5210 module is operated using the front STOP, AUTO and MANUAL pushbuttons. The DSE5210 Generator Control module includes RS232 or RS485 communications capabilities for linking to a PC, sending SMS messages and interfacing with new and existing building management systems.